Why is Baptism so important? What do we get in Baptism? | The Old Adam Lives! Why is Baptism so important? What do we get in Baptism? There are several very specific, important things that God gives us in our baptisms. 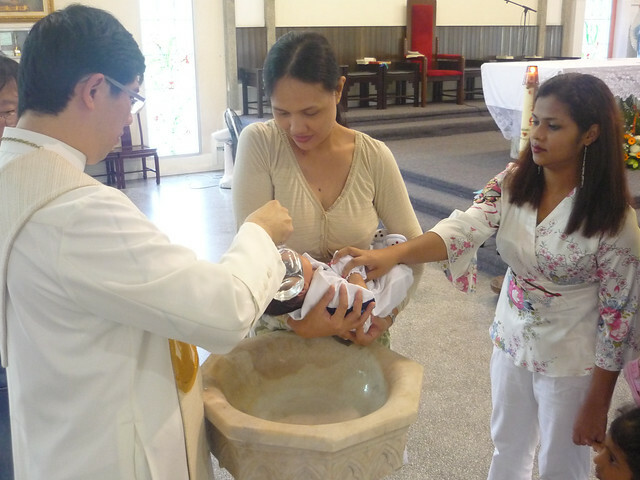 Listen in to the sermon that Pastor Mark gave just minutes after the Baptism of little Emma Marie, and hopefully you’ll have a better understanding of why we Lutherans baptize infants…or anyone else for that matter. click > Why is Baptism so important? Thanks also to flickr and sjcbt620, for the photo (it’s not Emma Marie).